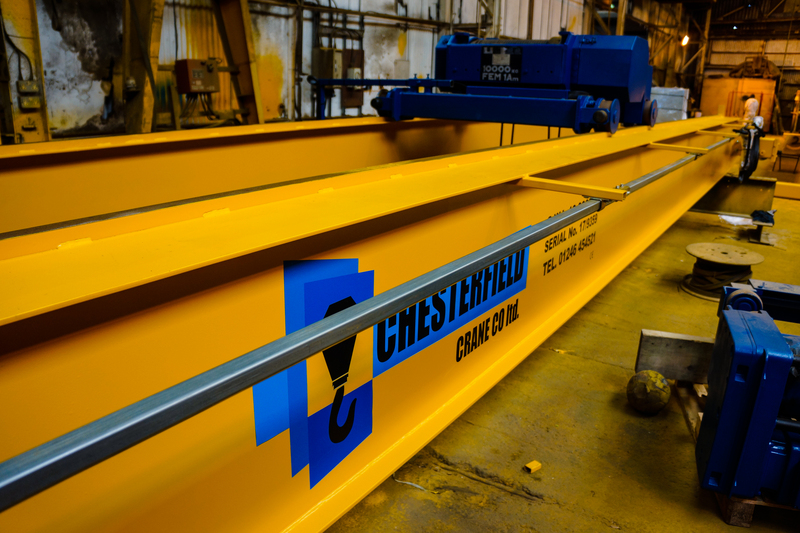 Chesterfield Crane Company. 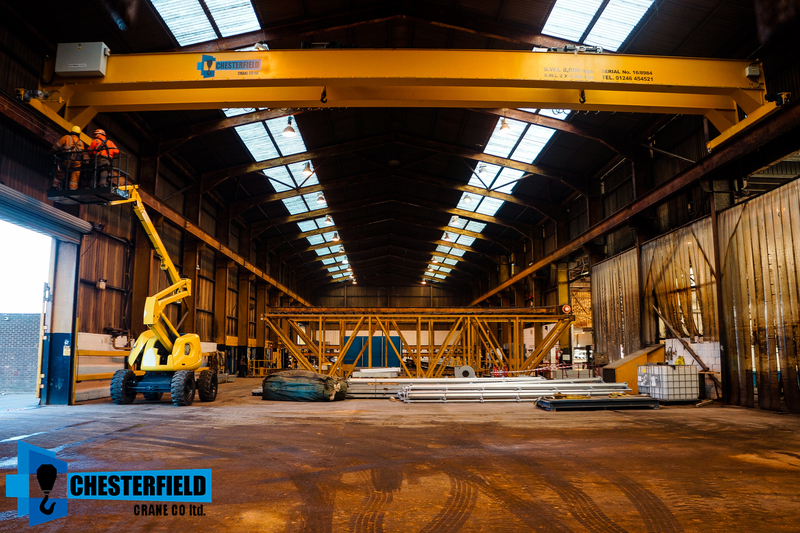 The UK’s largest stockist of used crane girders and hoists and the largest supplier of refurbished cranes. 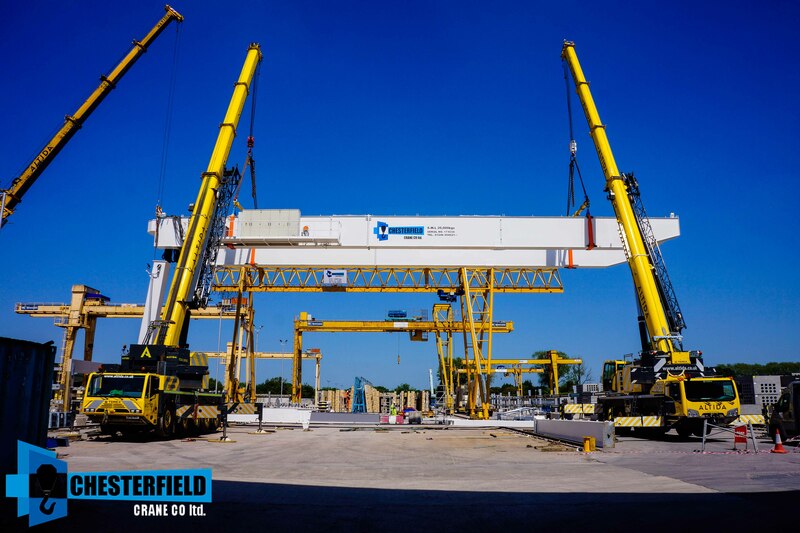 When purchasing a used crane ‘as is’, as originally manufactured without being refurbished, it will come with all the original components. 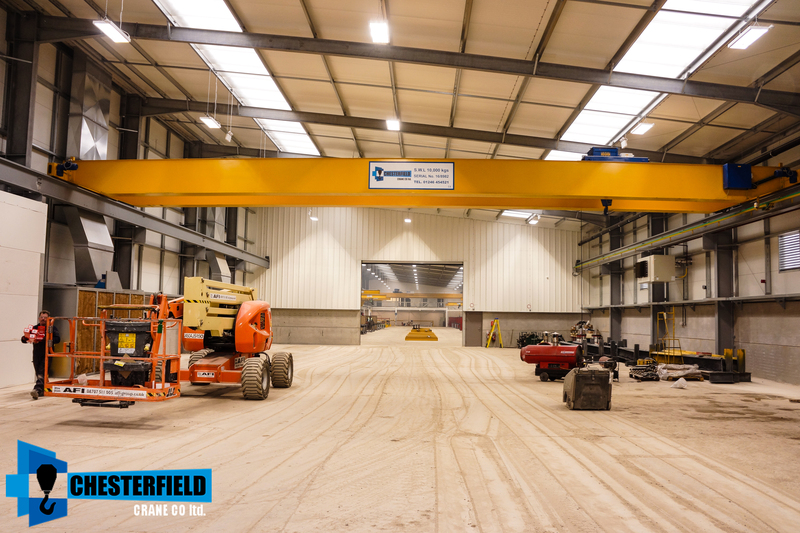 Used ‘as is’ cranes when sold don’t undergo our refurbishing process and are not modified (ie. 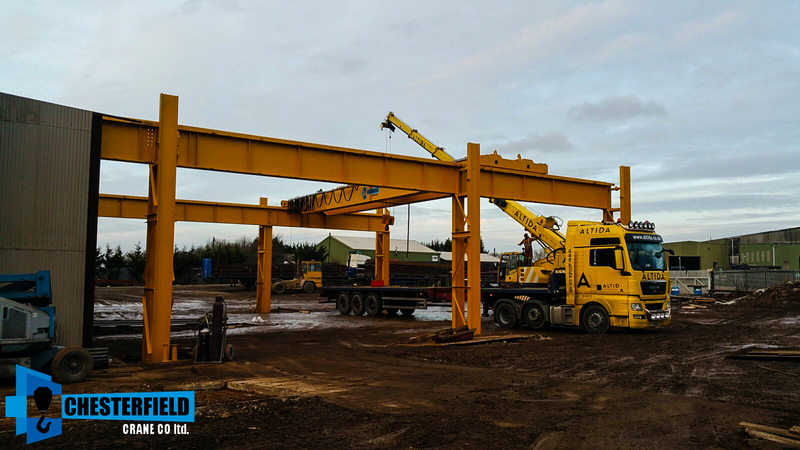 cut down / extended) to the customer’s exact required span. 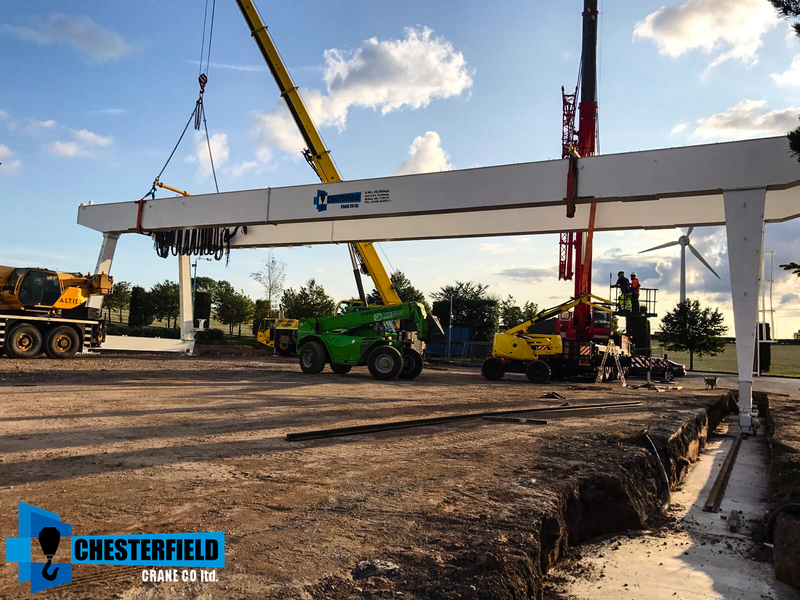 We usually sell ‘as is’ cranes to customers who may want to re-span and modify the crane themselves, however we recommend that Chesterfield Crane Company take care of it and refurbish for you. 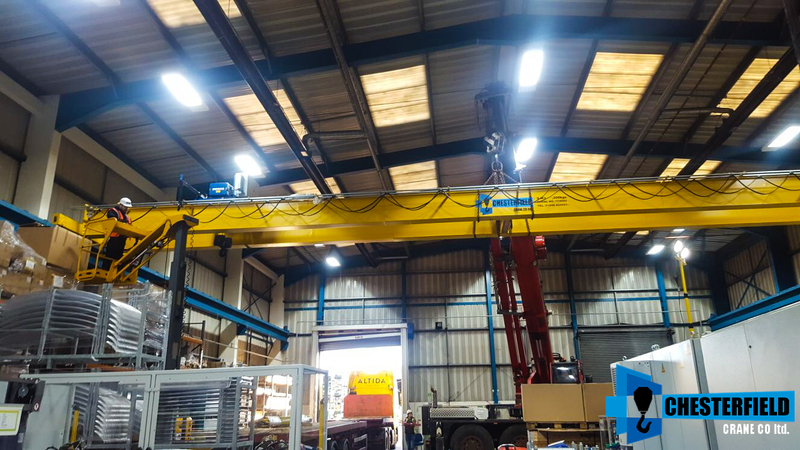 A used ‘as is’ crane will be cleaned down, serviced, tested pre-delivery, and comes with 12 months warranty. 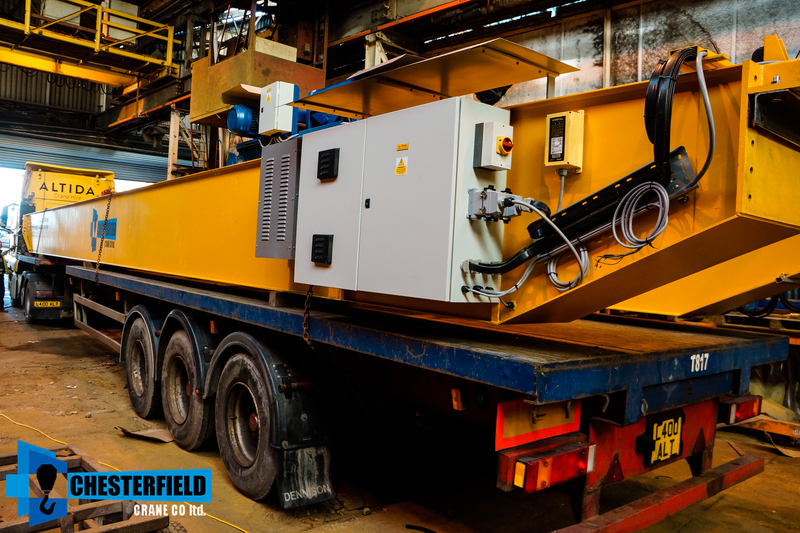 If you are purchasing a used crane to be refurbished then part of our reconditioning process may include stripping down the fabricated torsional beams, servicing all components, shot blasting, spray painting, and re-fabricating and modifying pre-existing steelwork if required. 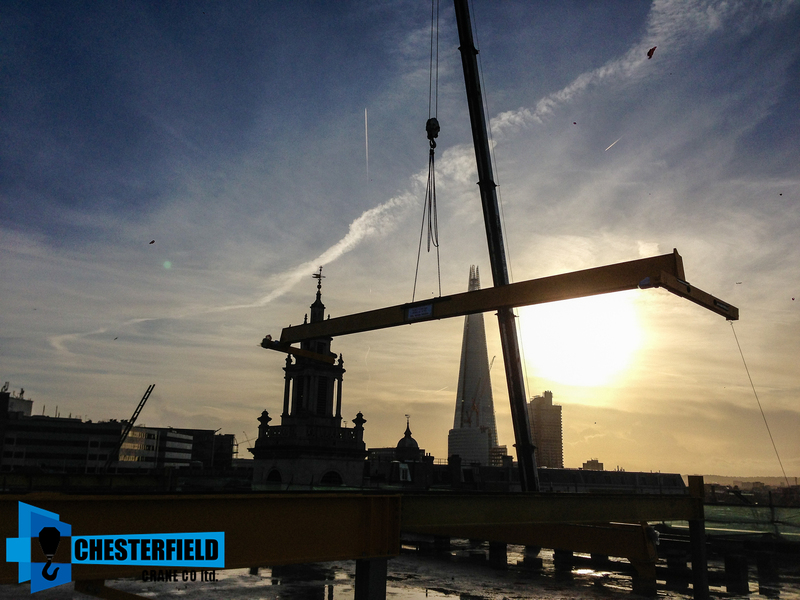 This conforms to strict quality control procedures. 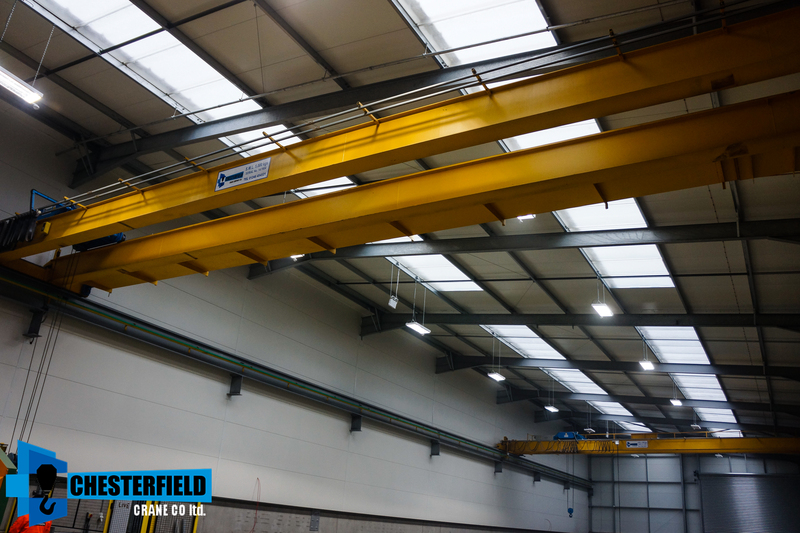 Included with a used refurbished crane is a site survey for us to measure your facility and calculate precise rail centres. 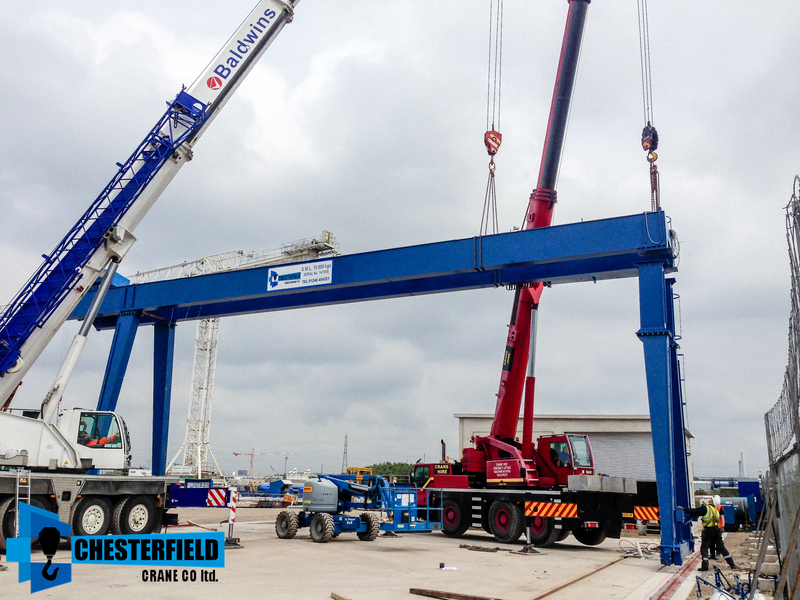 The crane will be resized exactly to your rail centres and ‘as new’ when complete. 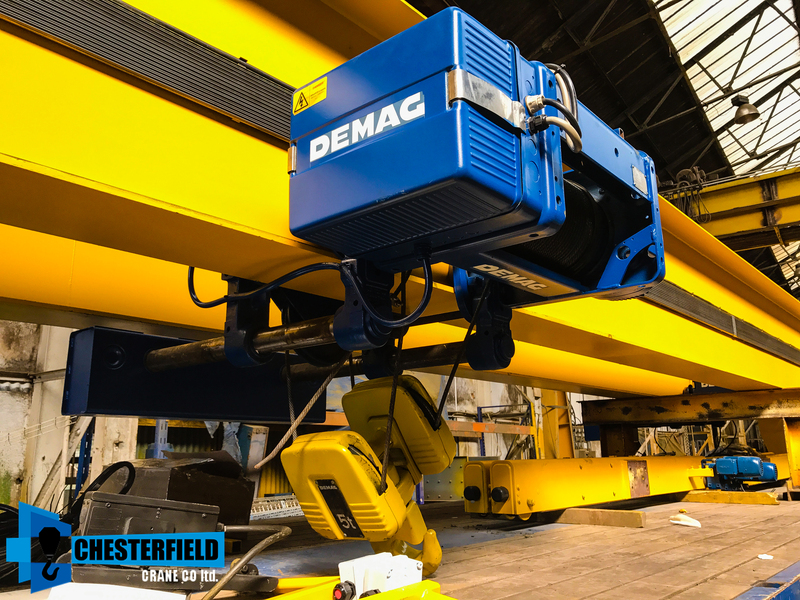 Dependant upon the crane and condition of the control panel we have for sale, and dependant upon what the customer requires, our typical used refurbished package includes a brand new control panel with inverter variable dual speed drive for long travel and cross travel motions, and standard contactor dual speed for hoist travel motions. 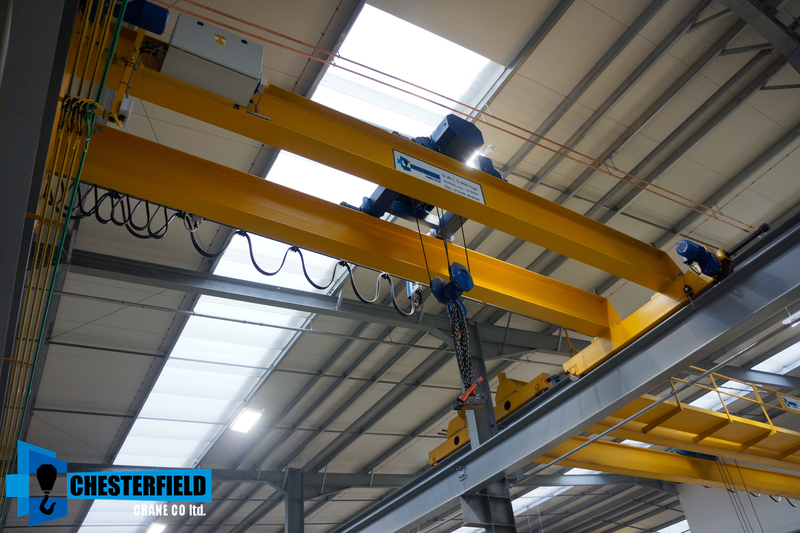 Inverter dual speed control for hoist motion is usually an optional extra that we would recommend based on how delicate your lifting application is, and must be requested before a crane build. 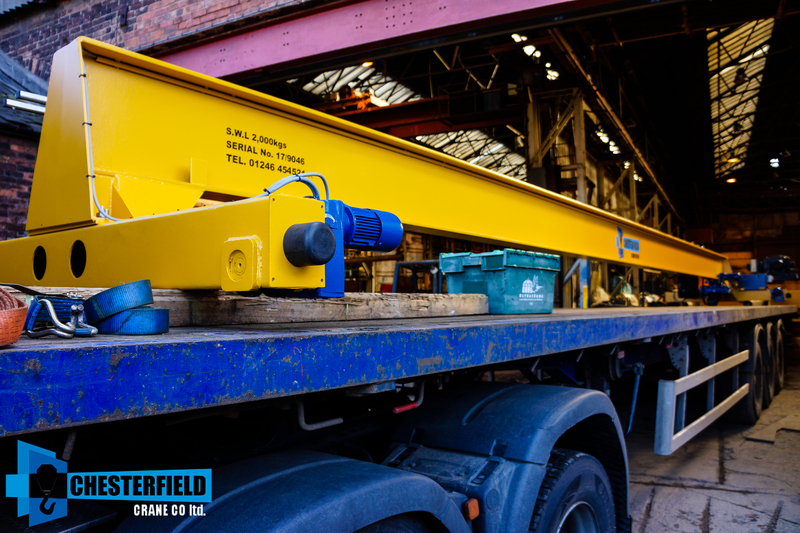 Whether brand new or used refurbished, all our cranes come with a LOLER, Test Certification and 12 months warranty.